For detangling, back-combing or applying mousse and gel. • For detangling, back-combing or applying mousse or gel. This comb is well balanced with high impact resistance for ultimate performance. Comb Length: 175mm. The added thumb groove allows comfort and grip when cutting the hair. • The ProEdge Master�s unique 'cutting ledge' is the key to fast and accurate scissor-over-comb and clipper-over-comb cutting. Comb Length: 220mm. A black version of the original D3 classic styling brush featuring 7 rows of smooth nylon pins. Brush Length: 200 mm. Brush Width: 35 mm. 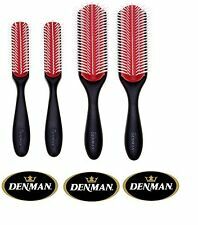 • Denman carbon precision comb. • Waver comb. Our policy at My Beauty and Care is to process and despatch orders within 24 hours to ensure your goods get to you safely and quickly. So, give us a try and we are confident that you will be back for more. Crafted from firm yet flexible material with a matte finish, the durable comb features twelve ultra-smooth, extra-long teeth that glide through wet or dry hair without snagging. Heat, chemical and impact resistant. This Comb is used as a cutting, styling, gents, barber comb. Pro Tip 06 Cutting Comb. The weaveze creates evenly spaced weaves, to help insert colours between the layers of hair separated by the teeth. With extra-soft plastic pins, this brush is ideal for gentle scalp massage during shampooing and for distributing gels, waxes and pomades during styling. 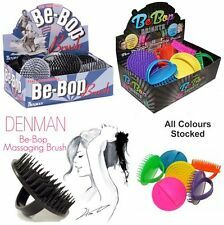 • This brush is ideal for gentle scalp massage during shampooing and for distributing gels. Accelerates the blowdrying process by allowing warm air to circulate directly at root level. • Accelerates the blowdrying process by allowing warm air to circulate directly at root level. So, give us a try and we are confident that you will be back for more. Jack Dean x Envy London Fade Brush By Denman. Perfect for use when clearing excess hair for skin fades & clipper cuts. Comb Length: 136mm. This exceptional comb has been designed to the highest standards of precision and quality. It is a convenient size to fit in every pocket. • Light and flexible. Helpful Links. Our policy at My Beauty and Care is to process and despatch orders within 24 hours to ensure your goods get to you safely and quickly. ENVY LONDON x JACK DEAN Fade Brush By Denman. Perfect for use when clearing excess hair for skin fades & clipper cuts. 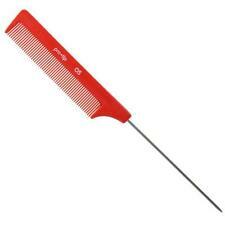 Pro Tip 03 Plastic Tail Comb. Jack Dean Fade Brush For the perfect fade. Extra-soft bristles gently remove cut hair allowing the barber or stylist to check for imperfections. View Related Products. The ultimate 3 row comb for detangling, volumising and distributing styling products through the hair. Comb Length: 175 mm. Wash in warm, soapy water. Rinse and leave to dry away from direct heat and sunlight. Its clever design makes it a fantastic tool for getting real precision into your cutting. The Denman ProEdge™ is 195-mm long. The key to its performance itthe ProEdge™'s "cutting ledge" which runs alongside the comb's wider teeth and provides a guide for your scissors or clippers. The benchmark of British hairbrush design, our Denman D3 is loved around the world. Remove loose hair from brush with a comb. The styling edges of the half-round brush create tension when shaping the hair during blow-styling. The most famous styling brush in the world. • Ideal for smoothing and styling. • Smooth, round-ended pins for gentle styling. • Suitable for all types and lengths hair. • Ergonomic handle for balance and comfort. Professional grooming comb that is perfect for detangling, smoothing and styling hair. This exceptional comb has been designed to the highest standards of precision and quality. Can also be used to comb through conditioners or styling products. Large dressing comb made with a carbon fibre additive to make it genuinely anti-static for frizz-free combing. The carbon also gives it good strength and heat resistance. Anti-static for frizz-free combing. Remove loose hair from brush with a comb. The styling edges of the half-round brush create tension when shaping the hair during blow-styling. Round-ended nylon pins separate, shape hair and define curls when hair is wet. Large heavy styling brush with 9 rows of nylon pins. • Heavyweight styling brush. Brush Length 213mm. Brush Width: 43mm. • Smooth, round-ended pins for gentle, snag-free styling. • Hygienic and durable with resistance to heat and chemicals. Brush Length: 8". Brush Width: 1.2". Famous half-round pad and teardrop handle for comfortable styling. The half-round rubber pad is perfect for smoothing hair, creating sleek bob shapes and flicking out. The Denman DC03 small cutting comb features very wide and wide spaced teeth. This comb has wide flat edged teeth which are both strong and flexible, this characteristic combined with the straight edges help achieve a perfect cut. The Denman Large Cutting Hair Comb (DC04) has wide flat-edged teeth are not only strong and fairly flexible, but the straight edges assist in a clean cut;. This important characteristic combined with the accurate finish make the Denman Carbon Fibre Combs ideal for professional salon use. Remove loose hair from brush with a comb. Nine rows of pins, larger head and heavier brush accommodate more voluminous hair and provide increased grip and tension. The styling edges of the half-round brush creates tension when shaping the hair during blow-styling. Its clever design makes it a fantastic tool for getting real precision into your cutting. The Denman ProEdge is 195-mm long. The key to its performance it the ProEdge's "cutting ledge" which runs alongside the comb's wider teeth and provides a guide for your scissors or clippers. The two different spacing sizes of fine teeth in this barbering comb allow for both cutting abilities and final styling. This exceptional comb has been designed to the highest standards of precision and quality. • Effective for detangling thicker hair. • Long handled brush. Brush Length 200mm. Brush Width: 35mm. 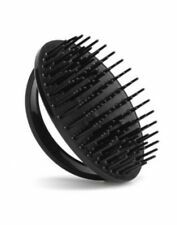 • With 5 rows of nylon bristles embedded in a rubber base. So, give us a try and we are confident that you will be back for more. Denman D33 5 Row Ball Tip Brush is the ultimate styling essential, perfect for taming and smoothing hair for a glossy shine. The D33 is one of Denman's classic designs, with 7 rows of nylon bristles. This exceptional comb has been designed to the highest standards of precision and quality. Comb Length: 217mm. Gentle on the hair and scalp. Light and flexible. PRODUCT FEATURES. 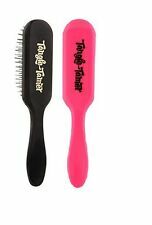 Excellent for lifting and backcombing. This exceptional comb has been designed to the highest standards of precision and quality. Comb Length: 208mm. Particularly suitable for fine hair. • Light and flexible. 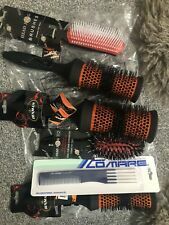 Nylon bristles r adial hair brush. 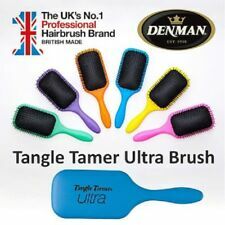 DENMAN HAIRBRUSH - Thermo Ceramic - 1 Inch Barrel. BRAND NEW.